Why do Sikhs keep long, un-cut hair? Seriously, give me a good reason! What’s the point of my kesh? Kesh, or uncut hair, is considered to be an essential part of Sikhi. Yet, growing up, no one gave me a convincing answer as to why it is essential or why the Gurus commanded Sikhs to keep long hair. The lift of the hijab ban was largely in part to FIBA board members realizing the policy was incompatible with the traditional or religious customs in some countries. International Turban Day is celebrated to show the beauty of the turban to all. 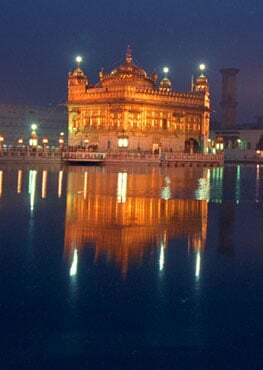 Sikhi And Our True Identity: Who Are We Really? There is no barrier between creator and creation - God and me, me and God are One. Outer selves adorned with gold but their inner selves unadorned with Divine virtues? The largest police force in the US is finally allowing Sikh officers to serve in uniform without cutting their beards.